A couple of summers back Bryan and I spent some time in Greece. While there I became enamored with olive wood. I bought a pair of gorgeous olive wood earrings and an olive wood piece to display in my house. 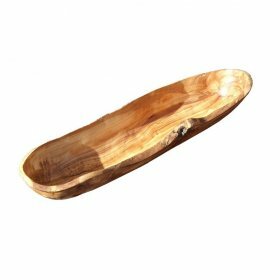 Best believe I was taken aback when I realized that Crosbys sells beautiful olive wood trays at the most affordable of prices. Can't you just envision the below olive wood long server filled with bread? Or maybe I'd use it as a catch all for my keys. I love decor that's unique, versitle and a conversation piece all at the same time! 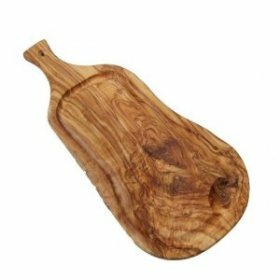 And then there's the below olive wood platter with handle. Pretty sure I'd use this for cheese and crackers nightly! Crosbys sources internationally, so if you don't see the item you're looking for on their website just contact them and they'll do their best to source it for you!